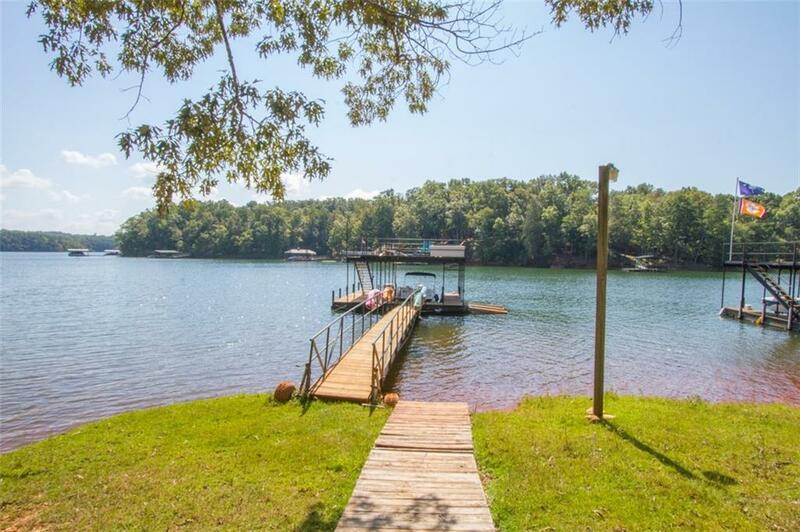 Come see this beautiful lakefront home and enjoy the daily gorgeous views!! As you walk into this beautiful home you will find a spacious office thats could also be used as a formal dining room, an open kitchen with granite countertops, breakfast area and a nice family room with stacked stone fireplace overlooking the gorgeous lake creating a relaxing feel perfect for entertaining or enjoying a quiet weekend with the family. The master bedroom and master bath are also located on the main level. Once you walk downstairs to basement you will find a spacious bonus room perfect for entertaining and 2 additional bedrooms. Both bedrooms are very spacious. Leveled walk to the double deck dock with DEEP WATER.